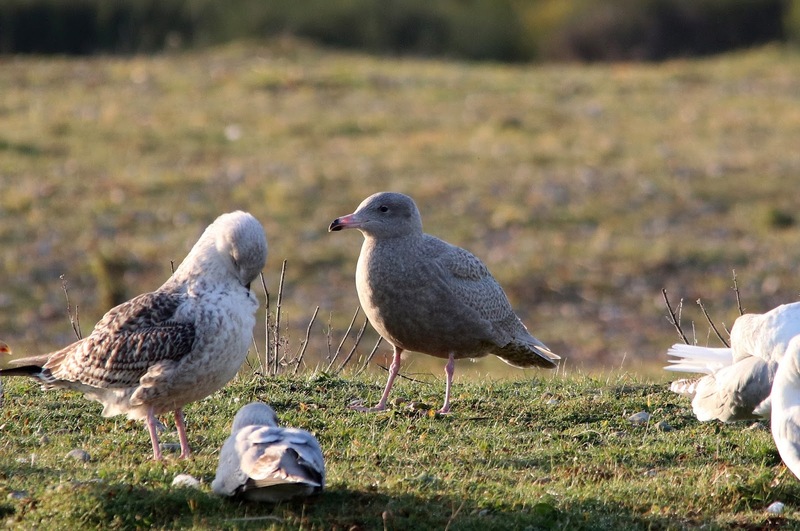 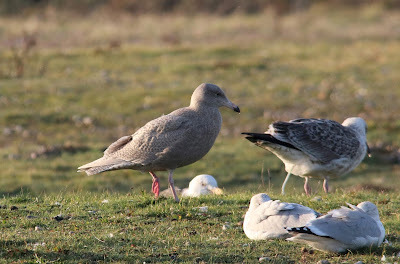 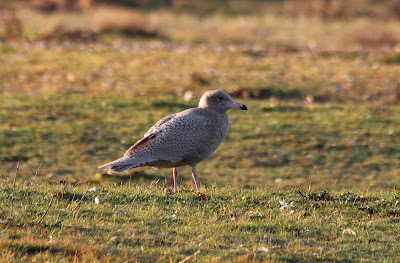 A juvenile/first-year Glaucous Gull was found among the gulls roosting at the Point this afternoon and was joined for a time by the semi-regular first-winter Caspian Gull and a first-winter Yellow-legged Gull. The morning seawatch produced a Great Skua and a second-winter Mediterranean Gull along with large numbers of Great Crested Grebes and Guillemots. 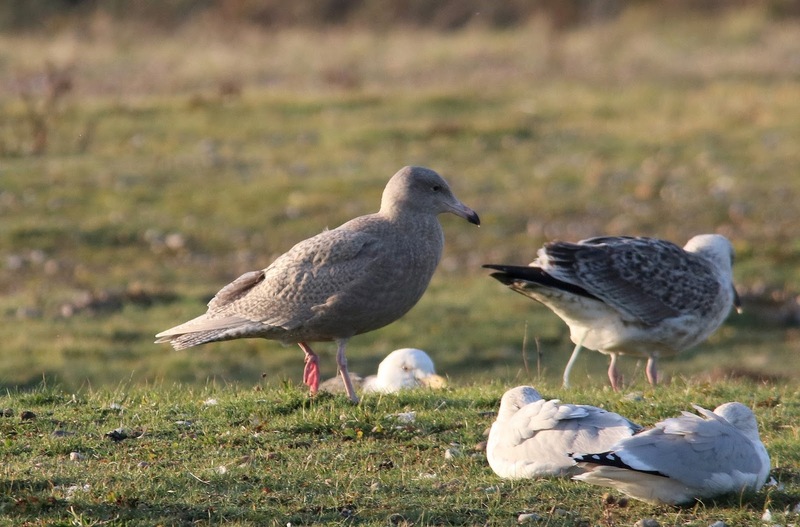 A Dartford Warbler was seen in the broom between the Old Lighthouse and the red-and-white gate, a Firecrest was heard calling in the moat and a Bullfinch was seen in the trapping area.